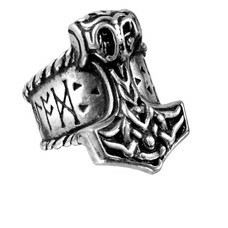 An authentically styled, original Alchemy Scandinavian Thor's Hammer, incised with powerful bindrunes to command energy, courage, potency and conquest. Carefully inscribed classic viking metal wear. 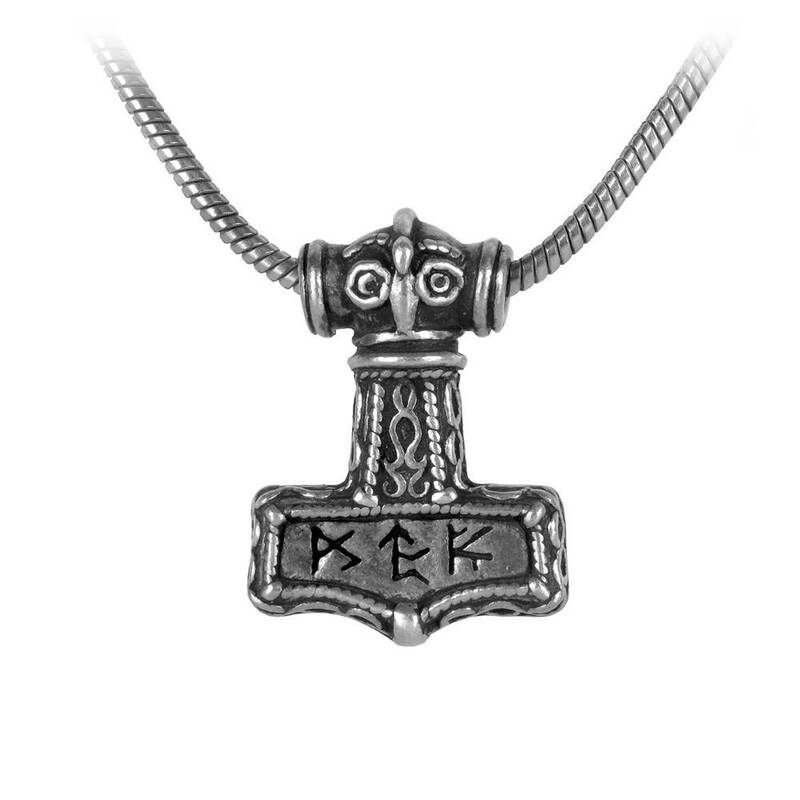 An antiqued pewter Thor's hammer pendant with barrel mount top.